On Saturday, Mr Hichilema called the "election" stolen, accusing the electoral commission of manipulating the results to favour Mr Lungu, a former lawyer. 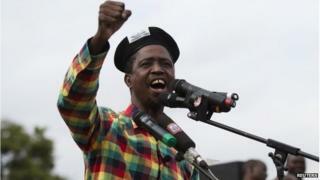 In November he sacked Mr Lungu as the Patriotic Front's secretary-general prompting riots in the country. Mr Lungu will serve the remainder of Mr Sata's term until elections in 2016.